The advent of the internet, torrenting, and legally dubious streaming sites have threatened theaters for years, but cinemas are still big business and Dolby is investing in its future with Dolby Cinema. Dolby Cinema is the well-known audio company's take on the IMAX movie-going experience. As you'd expect, the cinema will be completely powered by Dolby tech, specifically Atmos Sound and the impressive Dolby Vision that delivers "true to life brightness, colors, and contrast," according to the SF-based audio company. Dolby Vision, which was unveiled for 4k televisions earlier this year, brings high dynamic range (HDR) quality to the cinema-making process. Christie 6P 4k laser projectors will make all this possible, with Dolby footing the steep bill for the equipment and cinemas building out venues. But the real hurdle is that Dolby needs to reach out to content creators to include Dolby Vision in the post-production process. However, according to The Hollywood Reporter, the interest is already there and Hollywood's tech community believes cinephiles will actually see a noticeable difference once HDR makes its way to film. 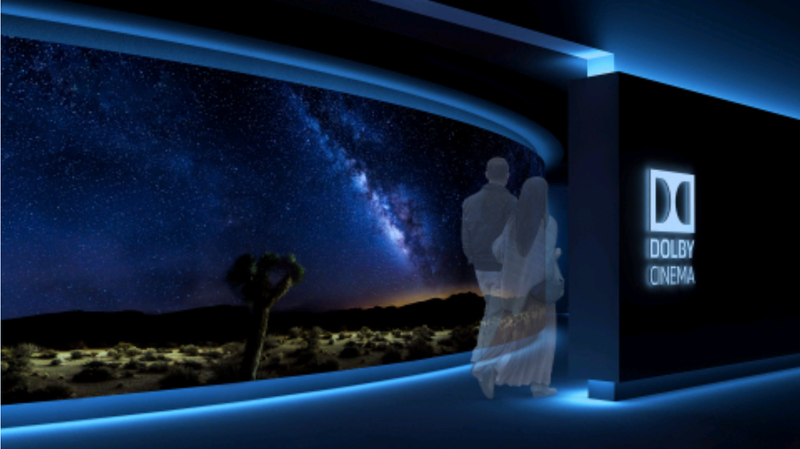 Dolby Cinema will include other fancy accoutrements, such as a dynamic display at the theater's entrance and a room that is "carefully designed to minimize distractions," according to Dolby.